My job is transforming and maintaining beautiful lawns. It gives me great pleasure to see a neglected, old lawn become transformed into a beautiful outdoor space. 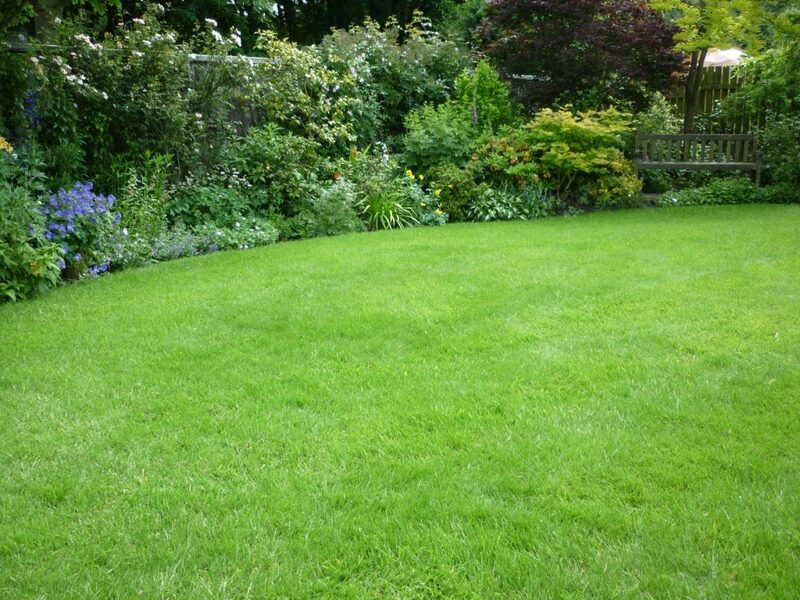 An even, green lawn really outlines a garden and provides a backdrop to show off your plants. If you have a nice lawn, the garden will look much better. One of the benefits of working in nice gardens is that their owners are often happy to show them off. 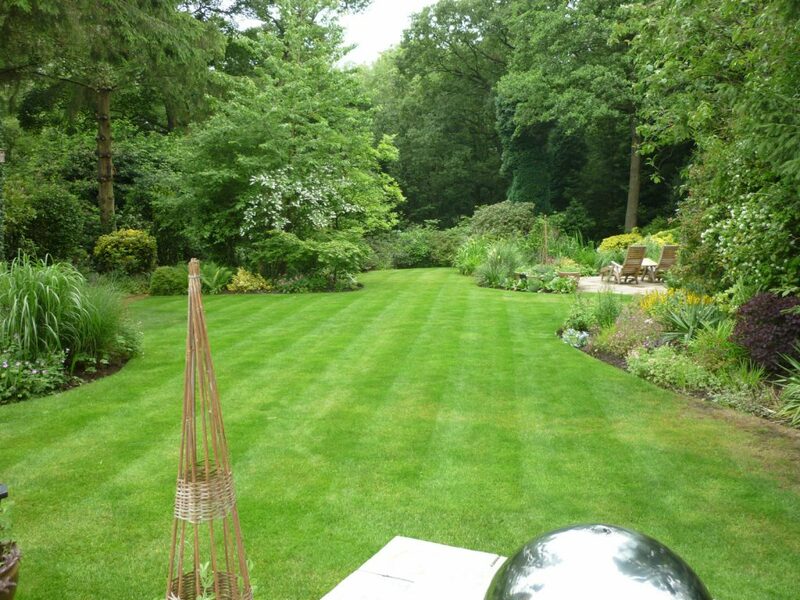 Here is a small gallery of lawns and gardens which I have helped to maintain over the years. This was one of my earliest lawns I regenerated. 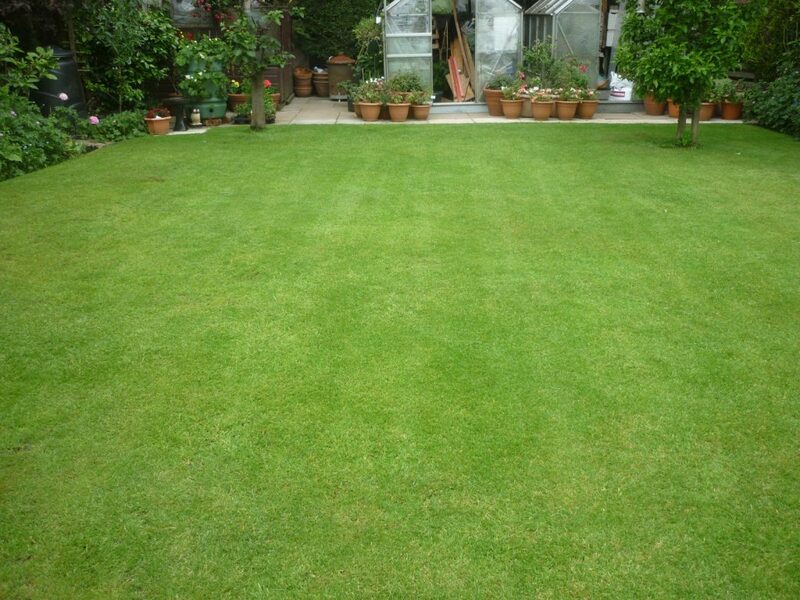 Back in 2010 this lawn was scarified and overseeded. The following year it looked gorgeous. This wonderful garden was a show garden. 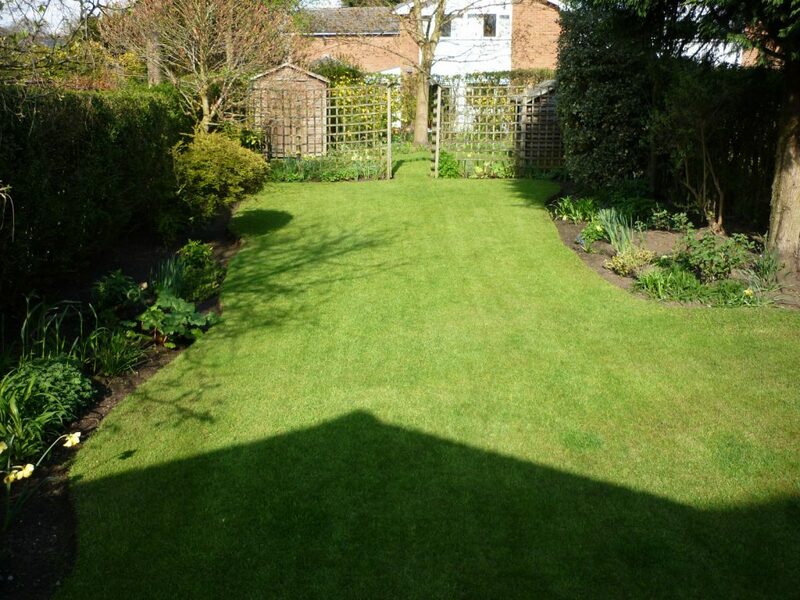 The lawn was very compacted, but reacted well to aerating and was a joy to work on from then after. This was a small, side lawn in a wonderful ornamental garden. It was heavily shaded, but reacted well to lawn treatments. This was a lawn early on in the season of 2017. 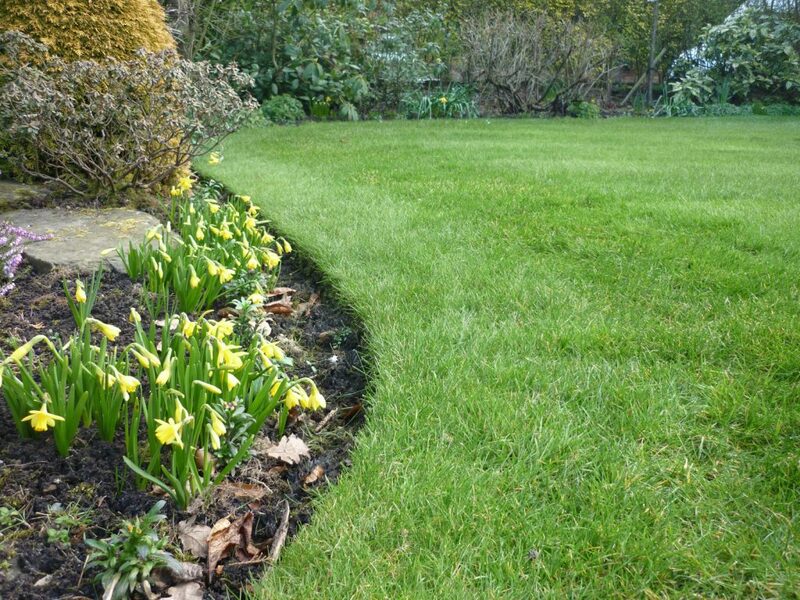 After a long, wet winter the lawn still showed few signs of damage and was ready to burst into growth. 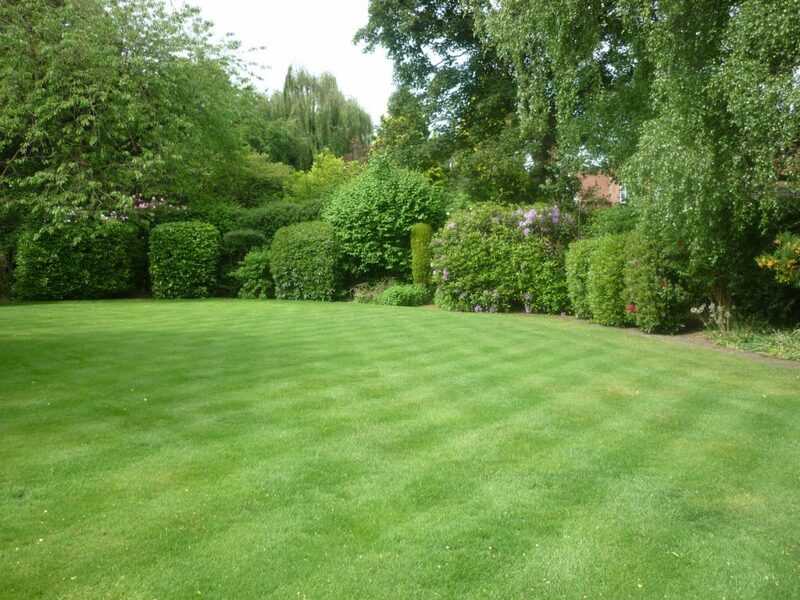 This well-mown front lawn was aerated and scarified. It reacted positively to lawn treatments and had never looked better. This exquisite lawn was heavily moss ridden. After aerating and helping the grass to strengthen the garden was transformed. 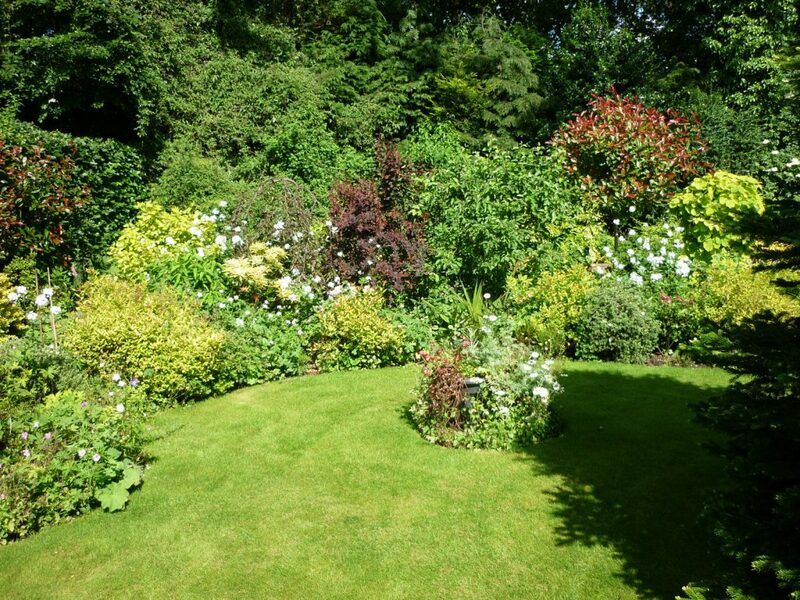 This magnificent family garden had a well-maintained lawn which was kept green by regular treatments and checks. 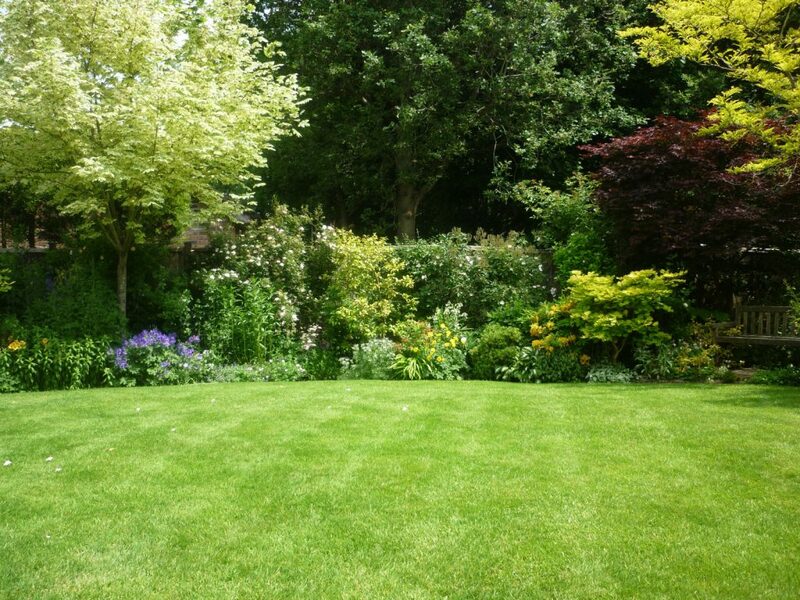 This marvellous, thick lawn really showed off the well-loved garden borders. An even, green lawn shows off the plants even more. This family garden has a difficult area under a willow tree. 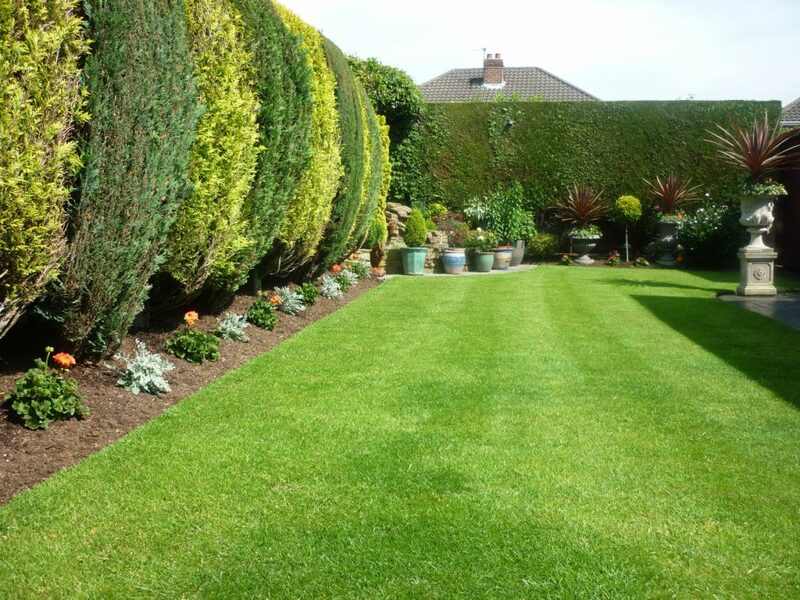 Regular maintenance and treatments keep all areas green and even. This narrow, suburban lawn was at the rear of a rehabilitation studio and the owner wanted a calm, neat space to help their patients. 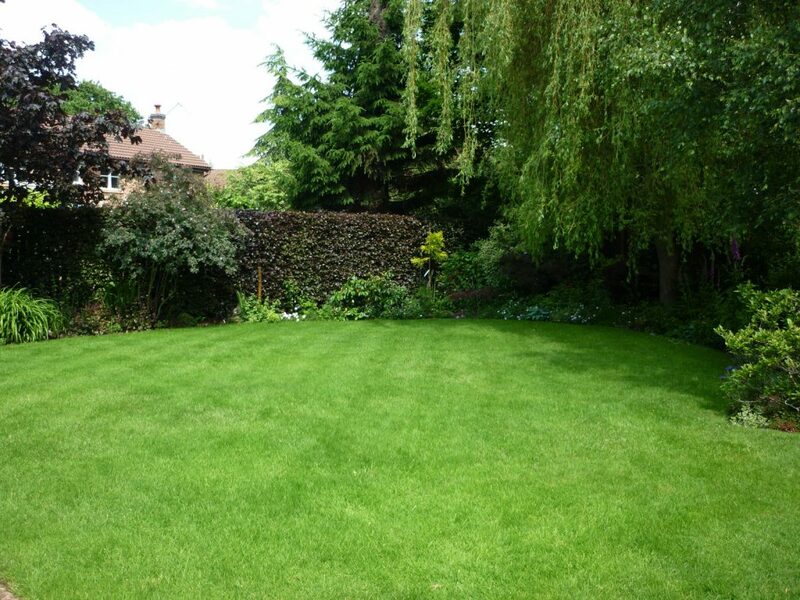 This was a complete lawn regeneration. 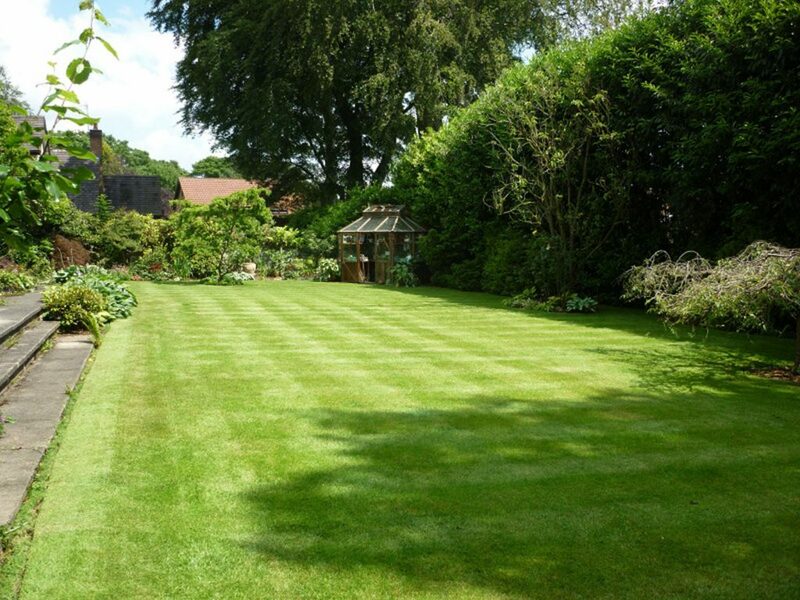 The old lawn was killed, and this new lawn was prepared and sown over the top. This was the result just a few months later. This lawn was a new lawn. The old lawn was full of old, poor grass. It was total killed and a new modern rye grass was sown. This was the result just a few months later. 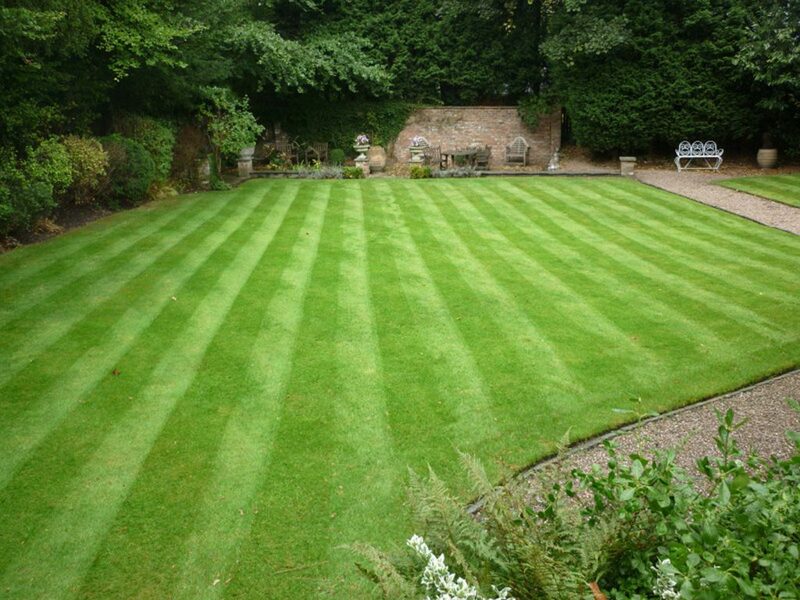 This superb lawn was maintained regularly by its owner alongside regular lawn treatments by The Lawn Man. The results speak for themselves. This gorgeous garden was open to the public on certain days of the year. The lawn was well mown and the regular lawn treatments really help to bring out the colour in the grass. This lawn is very waterlogged during wet periods. 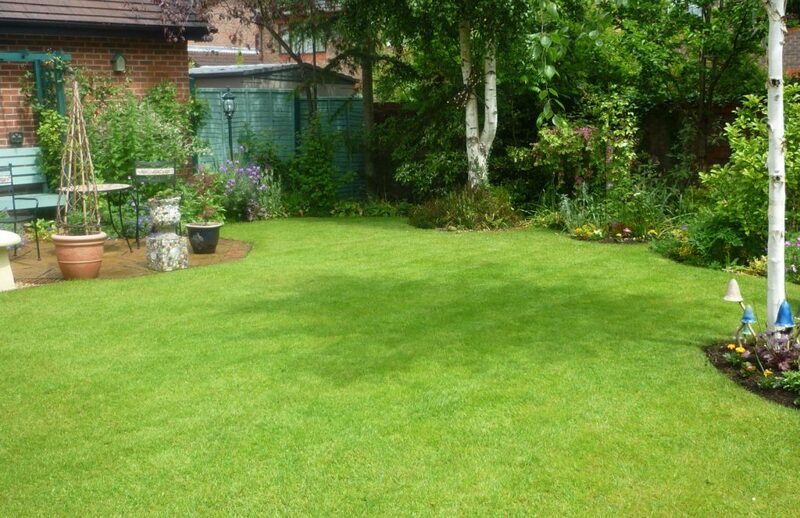 Regular lawn treatments and top dressing ensured the grass stayed healthy and looked great when the conditions improved. 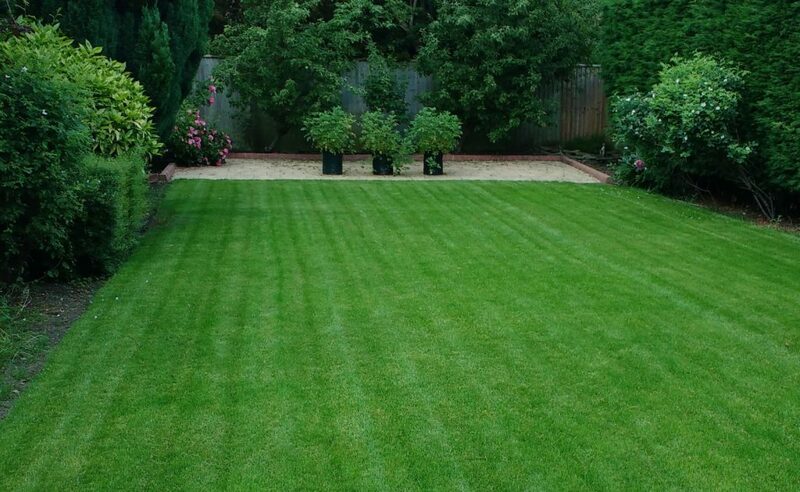 This lawn at the back of a semi-detached property was built by it’s owner. 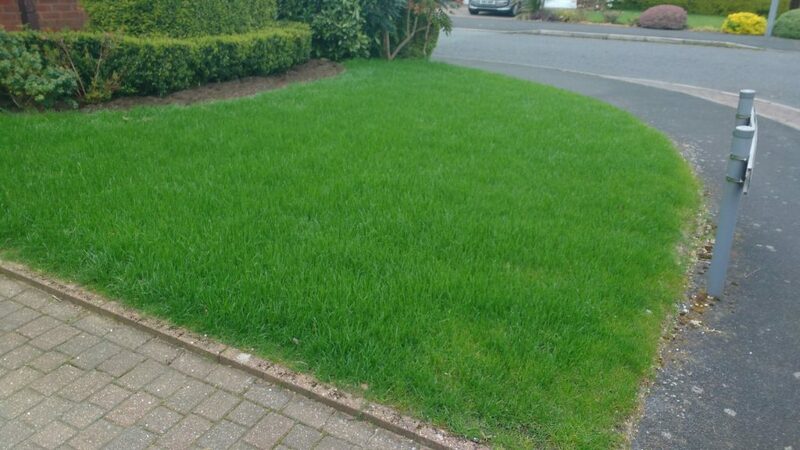 The grass suffered badly from fungal infections, but after treatments and feeding, it recovered well and soon looked great. 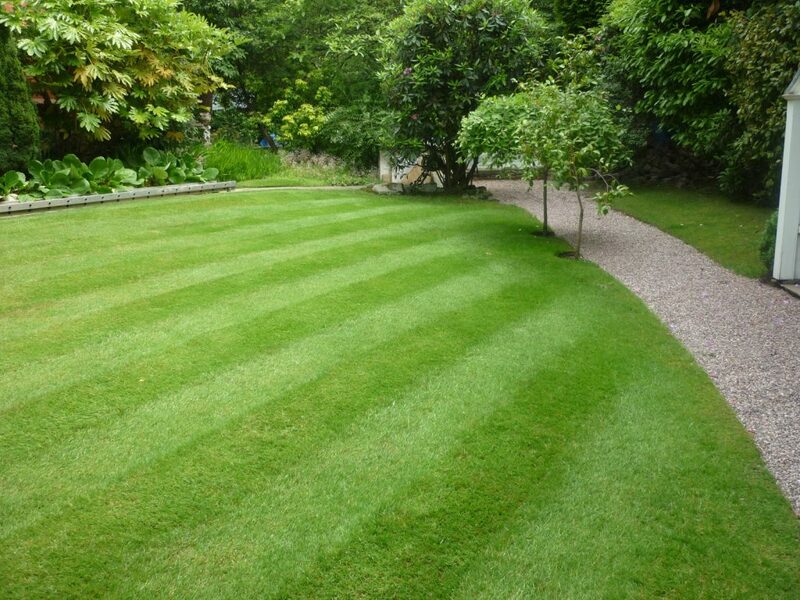 This pleasing lawn looked great all year round. 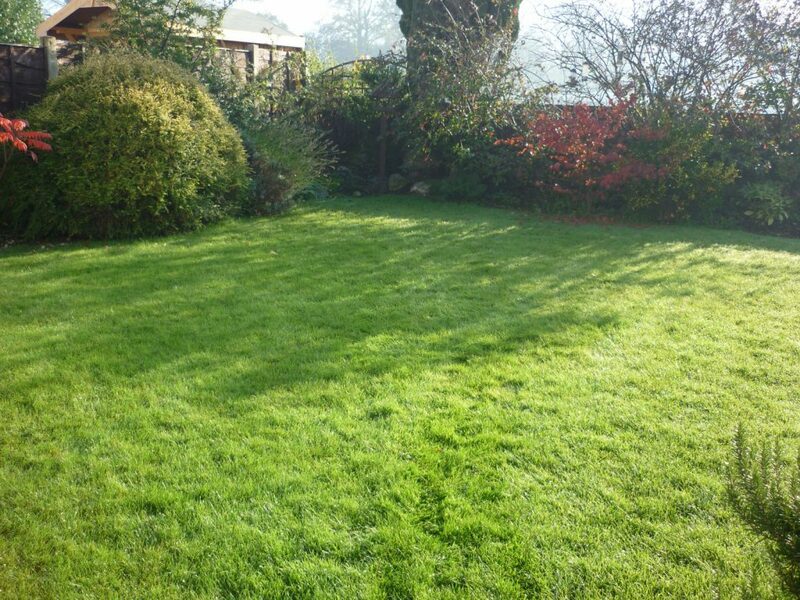 This picture was taken in autumn and the high-mowing meant the grass still looked brilliant. This lawn was extremely weedy, covered in self-heal and buttercups. Just a few months later it was transformed into a lovely, neat outdoor space. 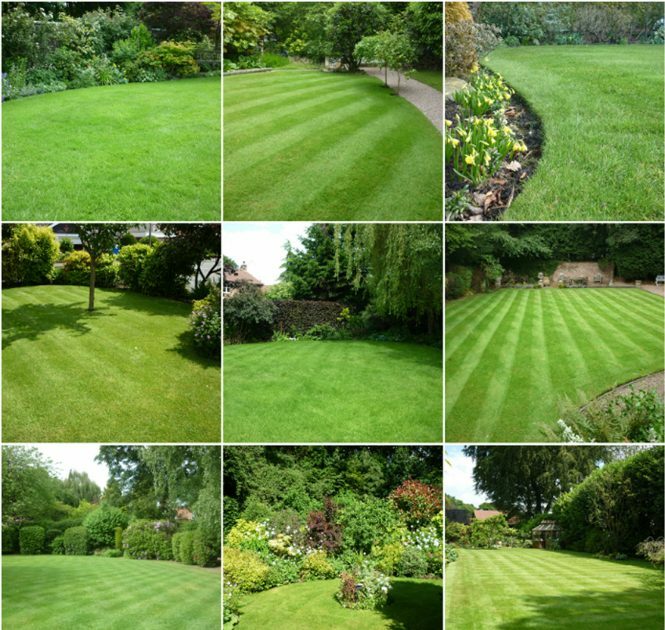 I hope you enjoyed my lawn gallery. 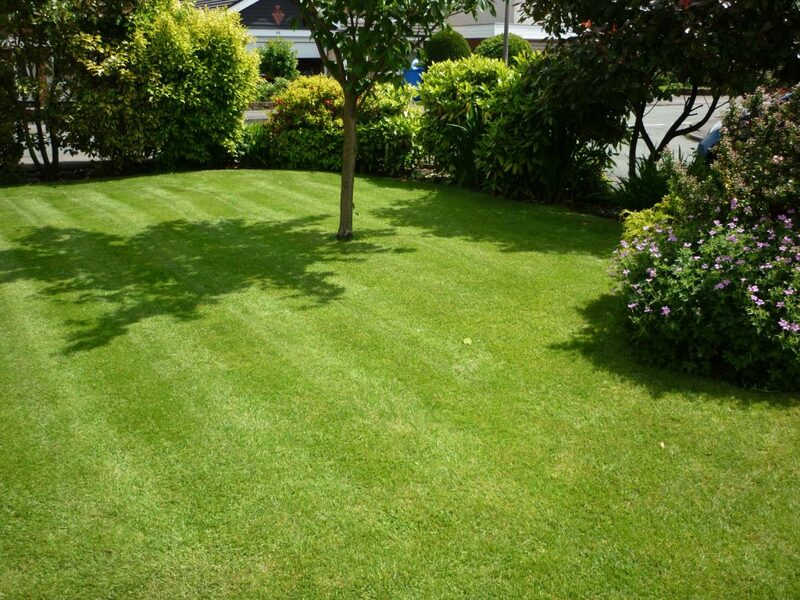 If you have any questions or would like to arrange a visit for The Lawn Man to maintain your lawn, please don’t hesitate to get in touch.